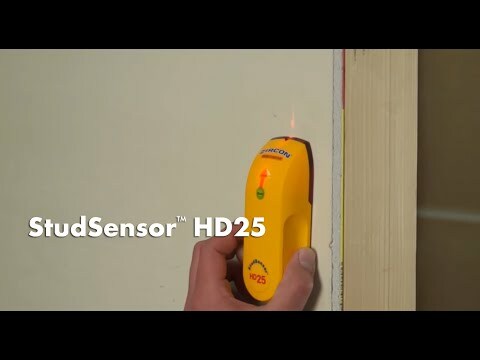 The StudSensor™ HD25 stud finder features a patented pivot pinch grip for a comfortable, secure hold in either hand, at any angle. A bright, easy-to-understand interface and SpotLite® Pointer clearly indicate the target location. Find the edges of wood and metal studs to securely hang pictures to the wall.